New Listing: 27-290 Pemberton Terrace, Sahali, Kamloops, BC $249,500. Level entry townhouse in great location with city views. Updated kitchen with ceramic tile, 4 newer appliances and re-painted throughout. This townhome feels like living in a villa, there are 2 private patios in the back, a small garden/yard area and a front terrace with privacy wall. The living and dining room are open to one another and are very bright with windows from the east and west. This is an end unit and there is a lot of street parking along with the one parking spot included (43). 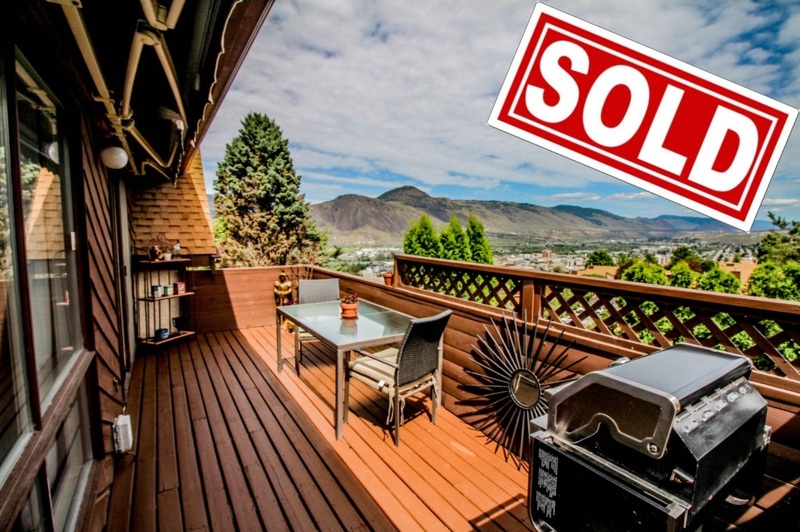 Steps to transportation, close to shopping, TRU and downtown Kamloops. Small pets okay and there is a rental restriction. All appliances included, central vac and central air conditioning.